My CVoice class was cancelled, need advice please! im finishing up my CCNA classes this week and i was supposed to jump into CVoice next monday. apparently, that class has been cancelled until march. my other Cisco options are BSCI, ISCW, SNAF and CIPT Part1 all in mid Jan. i can also do a MS 2008 networking infrastructure class, but i'd like to stick to the instructor led Cisco stuff. what would you guys do? the big plan was to get the 3 CCNA concentrations, Sec/Voip/Wireless and then CCNP. now im wondering if CCNP is sooner than i had planned. CCNP go for it. You can still go down the other track. Hit the BSCI stuff. It's never too soon in fact the sooner the better in this competitive environment 1 CCNP will beat and be worth more then all (3) CCNA levels in terms of dollars and employment prospects. you know, now im wondering if it might be too soon after my CCNA. It's probably better to put your CCNA to use first (if you're not already working in IT) rather than stacking up advance certifications without ANY experience. If you are working in IT (and using your CCNA knowledge) and gaining experience -- then since it may take some time to complete -- it probably is worth starting your CCNP studies sooner than later. If you're at a University (rather than a Community College), then go for Internships to get experience -- but then the CCNA/CCNP/New University Graduate/Experience thing could work for you come graduation time. If you're at a Community College, the BSCI class could help keep your routing knowledge up to speed -- and give you an advantage over other new CCNAs scrambling to find their first read IT/Cisco job. But coming out of a Community College with no IT experience and a CCNA/CCNP could work against you. We'll take someone with only an A+ for a rack 'n stack postion -- but we exclude people with any professional level certification since they should be drastically over qualified (and experienced -- and more likely to leave for a better job if any exist in this economy). Plus we don't have a problem finding enough good people with just the "entry level" certifications (who will also work cheap). Any idea if that that January BSCI class be the "old (current) one?" Or the "new (rumored) one?" 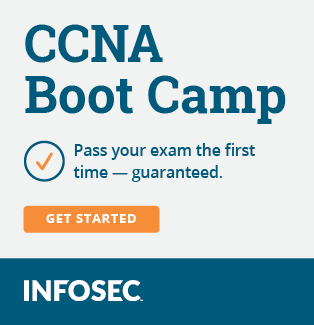 I'd say your safest bet right now would be to finish up the CCNA and do the CCNA:Security and wait for the "Cisco January Announcement" and see what the deal is with the rumored CCNP changes. I gotta say, the CCNA: Sec was a much more natual and real world addition to my skills than BSCI has been. It's more focused on the sort of stuff you are likely to do in the real world as an entry level IT guy. But, that being said, the BSCI is a great way to hammer in your networking skills. Mike I agree he should put the skills he has learn to use but he should continue to move on as well. CVOICE does have the added benefit of making your a CCNA:V as well. thanks for the replies guys. just to be complete, i do have experience in IT. im out of work right now, unemployment has paid for 3 classes for me. i took ICND 1&2 and was planning on CVoice... everywhere i've ever been the router/switch situation has been "set it and forget it"... i cant really afford to start an entry level Cisco career (im 44 and have a house) so i'm looking to get in somewhere i can use these skills as needed. absolutely in the future i'd like to take the Cisco thing further. i think i might take a Server 2008 class just b/c i've never had instructor led training before... then work on my CCNA: Security at home on my own time. i really wanted the VOIP training though. oh, i also have the option for CEH or CISSP classes. Will they pay for other resources like CBT Nuggets, etc.? I'd go for CISSP over CEH if I had to choose between the two. Do you meet the requirements? I think if you have already got some solid background in routing and switching then the BSCI may well be a good bet, particularly as you will have an instructor there. Ensure you give him a hard time, instructors should be top notch. At the same time pick up a decent book for CVoice and get cracking on some very serious reading now because if voip is where you would like to go (and you can leverage your existing R&S background a little bit there) you really do need to get your head down on the VOIP theory. If Voip is your fanasty to do then get it done. Self Study hell with instructors all the time. You have plenty of instructors here to help you. Trust me these girls and guys know cisco pretty good. W2k08 is pretty good. I just finish my certs for upgrade. They were not too hard. hey guys, i have a bunch of cbt nuggets my last job paid for. full viop, ccnp and others... as far as cissp, im not sure what the requirements are. i've heard 3-4 years security work, but you cant get a security job with out the cissp. i have 5-6 years net admin experience. 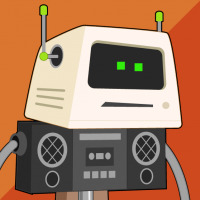 i figured viop b/c every job description i see has that listed as a requirement... i may try that one on my own. yeah, this is what i was talking about....cant get a sec job without the cert, cant get the cert without the experience.